SALEM, Ohio — In the past few weeks, Joy Weaver’s gotten pretty good at reading minds. 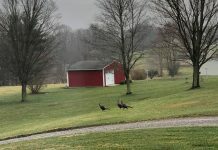 Inside Catalpa Grove Farm Market, near Columbiana, Ohio, Weaver and other employees know just what that customer lingering near the tomatoes is wondering. “It’s almost like you’ve got to post a sign to let them know they’re OK,” Weaver said. Instead of posting a sign, though, Catalpa workers volunteer information about the fruits and vegetables on display — where and how they’re grown, how they’re shipped — to ease consumer food safety fears. “People are happy to know that something is fresh and grown locally,” she said. The recent salmonella threat on tomatoes, which has infected 231 people in 24 states since April, coupled with last summer’s spinach snafu and other outbreaks of food-borne illness, undoubtedly affect consumers’ willingness to get right at the source of their food. The outbreak is having both positive and negative effects for farmers. “The biggest thing is that it’s helping push ‘buy local’ because people know [local produce] is safe,” said Eric Barrett, an Extension educator from Washington County, Ohio. Fruit and vegetable production is a top industry in that county, according to Barrett, and growers are looking forward to their first ripened tomatoes this week or next. Eating food produced locally — whether you’re talking vegetables, fruits, or even meats — has many benefits, according to the Ohio Ecological Food and Farm Association. It provides an opportunity for people to get to know the growers who raise the food, and to find out exactly how it was produced. That relationship also feeds on consumer demand for fewer preservatives, better tasting and more nutritious foods, and satisfies the consumer who’s conscious of economic factors like shipping costs and keeping farms a part of the local landscape. Buying locally produced foods isn’t a new trend, but it’s growing. In fact, the surge of followers of the ‘eating local’ movement, who often call themselves locavores, made such a decided impact on American life that the word ‘locavore’ was selected as the New Oxford American Dictionary’s Word of the Year for 2007. 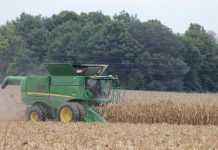 Research done by Ohio State ag economist Marvin Batte proves consumers are willing to pay a premium for food grown locally. Those consumers, surveyed in the fall of 2005, ranked food safety last on a list of seven factors that influence their purchases. That doesn’t necessarily mean they don’t care about food safety, though, Batte warned. “I can’t recall whether there was anything in the news then, but people react to how things are at the moment of the survey. If there had been an outbreak then, there may have been a stronger response,” he said. 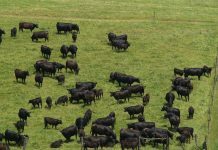 Batte also said that if forced to speculate, and backed up by his previous research, he might expect to see “mild stimulation” in the demand for locally produced foods today. “[Outbreaks] typically cause individuals to re-evaluate, and they may make more local purchases,” Batte said. While southern Ohio growers are watching their tomatoes turn from green to red, they’re also faced with proving their homegrown product is safe. The Associated Press reported June 13 three cases of salmonella poisoning had been identified in the Columbus area. Those cases occurred in May and were traced to tomatoes served in restaurants, but no specific restaurants were identified. Meanwhile, the Ohio, Pennsylvania and West Virginia departments of agriculture have confirmed tomatoes grown in those states are safe. Barrett said it should come as no surprise that Ohio-grown produce has been given the green light, since many fruit and vegetable growers take advantage of an Extension program that offers basic food safety training to reduce exposure to the bacteria that cause food-borne illnesses. “We’re really far ahead of the game in Ohio,” Barrett said. “We say this is what to do to grow and handle the food safely,” he said. The recent salmonella outbreak also sent end-users like grocery stores and restaurants scrambling to find tomatoes for their shelves and menu items. One place they’ve been able to connect with tomato growers is through the MarketMaker Web site, an online database featuring produce growers from 10 states across the country. “The local tomato farmers listed on the MarketMaker Web site are source-verified, so consumers know where the tomatoes came from and how they were grown,” said Dar Knipe, University of Illinois Extension marketing specialist. The program has been handy recently, according to MarketMaker Web site manager Sandy Shetler. Shetler said she had received a call from an Ohio grower who had been contacted by someone who needed uncontaminated tomatoes. Since his crop wasn’t quite ready, he relied on MarketMaker to direct them to a grower in Illinois whose crop was a few weeks ahead of his. Two other states and the District of Columbia are also getting involved in the MarketMaker program, which is free. In addition, groups like the Ohio Ecological Food and Farm Association are also taking steps to help consumers find fresh, local produce. OEFFA just released the Good Earth Guide to Organic and Ecological Farms and Gardens in Ohio, which links customers with farmers statewide who sell their produce directly. 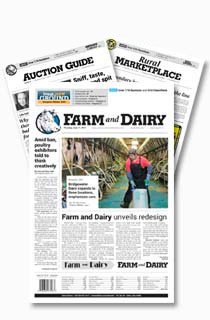 It includes sources for locally raised fruits and vegetables; herbs; meats and eggs; and a variety of other products. While the most recent illnesses are pushing the popularity of farmers’ markets and on-farm retail stores, they’re also driving many people to do what they’ve never done before: grow their own food. Washington County’s Eric Barrett has seen a marked growth in interest of home gardening, and led more than 70 people in a May session on the topic. He’s been fielding questions on topics from how to select a garden site all the way to end-of-season home food preservation methods like canning and freezing, he said. “With the prices and food scares, people are figuring ‘I better try to grow some myself,'” he said. 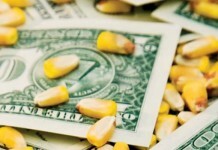 Last week, the federal government asked for an additional $275 million for the Food and Drug Administration’s 2009 budget, part of which would be directed at the Food Protection Plan. That program, unveiled last November, includes steps to increase domestic food inspections and protect consumers from disease outbreaks tied to contaminated foods. Great story Andrea, as a small csa farmer I have seen an increase in folks interested in joining our membership, all of them state they wish to find local, individually raised produce and meats hoping that small and local will equal safer and better quality than commercial and global.